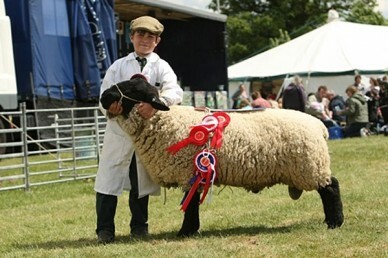 Pocket Farm is delighted to announce its sponsorship of the sheep classes at this year’s 127th Hertfordshire County Show. The event attracts around 35,000 visitors annually. Showcasing the very best from Hertfordshire’s agricultural community and a wealth of local arts and crafts, it’s easy to see why Pocket Farm has chosen to partner with this prestigious event as our online community grows within the local area and beyond. Working with the Show’s organisers, the Hertfordshire Agricultural Society, it is clear that this is a huge opportunity for a synergy that will promote our common aims and increase awareness and involvement in farming, agriculture and country crafts in all their forms and on any scale. The sheep classes are particularly relevant to Pocket Farm as sheep offer great versatility for the smallholder wanting to keep livestock. There is a huge variety of breeds with many different characteristics that can be farmed for fibre, meat and milk. There are also many rare breeds and an active rare breed community giving smallholders the chance to participate hands-on in conservation – something we encourage. As well as livestock you will be able to see all manner of other displays, demonstrations and attractions including show jumping, stunt shows, food halls, children’s entertainment and vintage machinery. Whatever your interests the Show offers something for everyone. You can find more details on the weekend’s programme of events here. We’d love to meet you and receive any feedback or suggestions for the site so please pop along and say hello at the Luton and District Poultry Club marquee where you’ll find us on both days. We look forward to seeing you there.